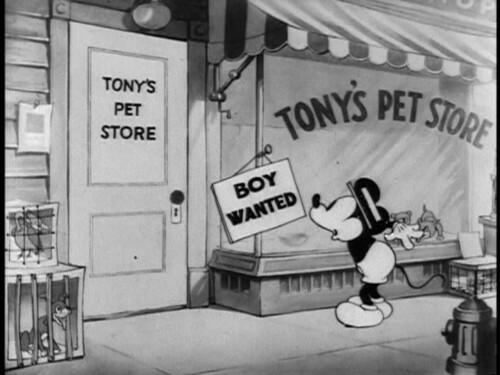 Pet Store, The (film) Mickey Mouse cartoon; released on October 28, 1933. Directed by Wilfred Jackson. Working in a pet store, Mickey, with the help of the store animals, saves Minnie from a gorilla that escapes from its cage. In the fight, the store is trashed. Mickey quits and he and Minnie leave just before Tony, the owner, returns.